Honestly speaking, the recent Causeway Challenge fixture between Singapore and Malaysia shall go down to history as one of those anti-climax games in recent years. Apart from both teams used this friendly to finalize their preparation for the AFF Suzuki Cup next month, it always not uncommon to have both the Lions and Harimau (Tigers) trying to claim supremacy over each other since both went separate way in 1965. 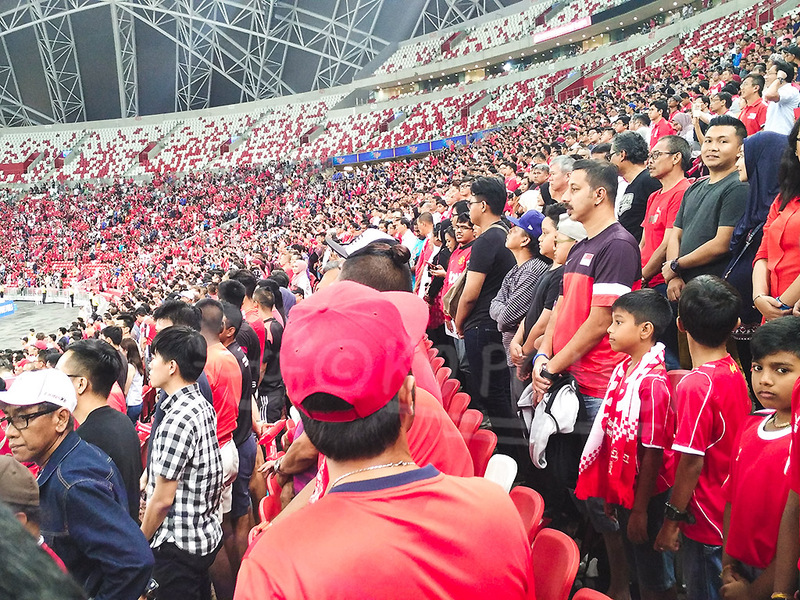 Any match featuring these two nations would usually wipe up those chest-pumping patriotism sentiments on both sides of the Causeway, but the mood during the run up to the match played last Friday at the iconic National Stadium at Kallang resulted a much mundane affair. Perhaps much of that "damp squid" ambience have to do with ongoing misfortune that plagued the football fraternities of both sides. One of those contributing factors was both sides weren't able to pencil their best starting eleven in their first meeting on the same turf since 2014. With the Malaysian squad is rocked by international retirement of several key players, their neighbours down south are handicapped by injuries to a number of their regular starters in recent months. 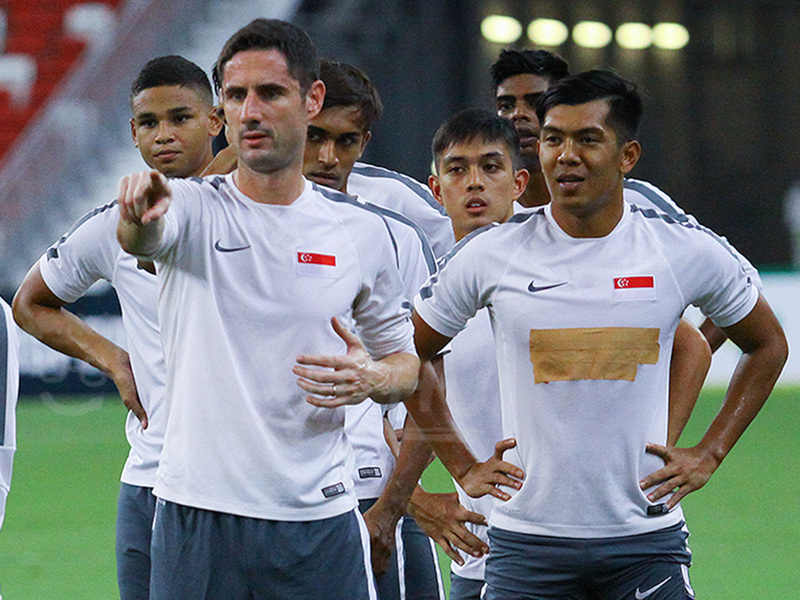 And it came no surprise on Lions caretaker coach V Sundram moorthy's part to recall veterans like Geylang International's Daniel Bennett and Tampines Rovers' Fahrudin Mustafic out from wilderness to help to steer the ship on choppy waters. 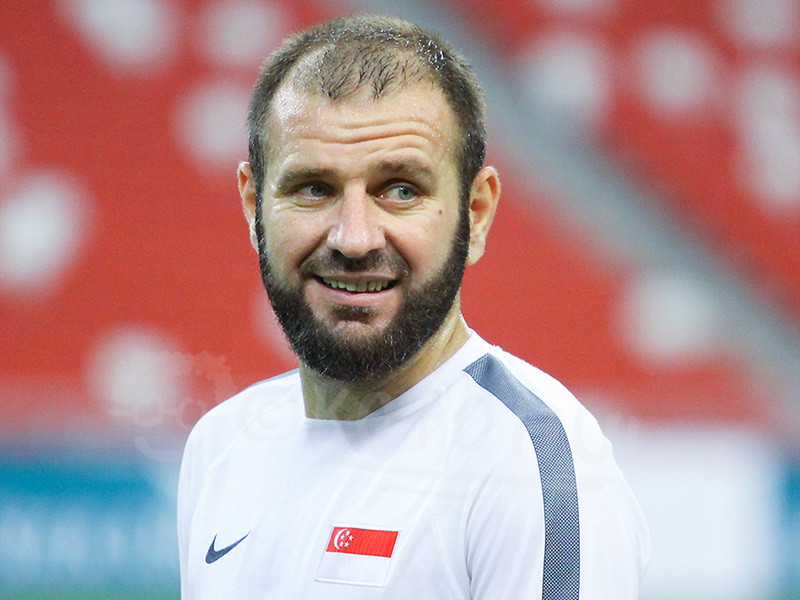 38-year-old Bennett repaid that faith shown on him by utilized his experience to keep the Malaysians at bay on last weekend, despite having not played at that level after forced into international retirement by former Lions coach Bernd Stange for almost four years. The English-born defender combined well with Baihakki Khaizan at the back to allow the usual center back Safuwan Baharudin to move upfront to act as a backup to chief striker Khairul Amri. 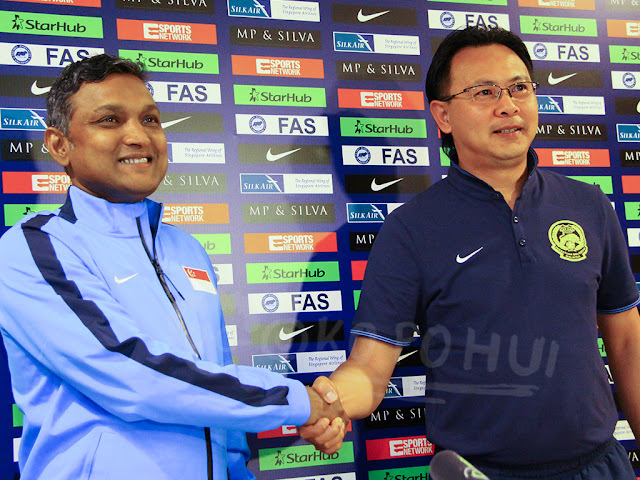 While that move did not reap any dividend against the Harimau on that day, it allowed some flexibility in the attacking deployment when the likes of Shahdan Sulaiman and Fazrul Nawaz are not available due to injuries. Furthermore, the inclusion of Mustafic, who can fit as stopper and midfield anchor, in the squad added the much needed experience and calmness to cope with pacey teams like Thailand and Philippines during the Suzuki Cup group games (if both Bennett and Mustafic are in the finalized squad). Nonetheless, some feedback from the grapevine voiced their concern if the inclusion of those naturalized players suggested the dearth of fresh talents that failed to churn out from the pipeline in recent years? I would rather put it down as the lack of the transition - the passing of baton from the old guards to the new ones - when Stange first took charge and led to what we are facing today. Till this day, I still maintain it was a miscalculated move by the German to end the international careers of those senior players, beside Bennett and Mustafic, in a hastily manner in favour of having a younger national team. Since then, have we not seen players who were touted to be potential replacements but only to be flash-in-the-pan who lasted only a few games before fallen out of the radar? At the meantime, some were puzzled why newcomers likes of Iqbal Hussain, Shawal Anuar or Irfan Fandi weren't given an opportunity to play against Malaysia for "a feel of it" which I think Coach Sundram had already made it clear the upcoming match versus Hong Kong will see him field his potential first eleven for the biennial regional showpiece. Therefore, it shall be focused on getting the shape ready instead of experiment a few more tactics like he did during the Japan training trip weeks ago. The convincing display by the back quartet that night shall be a relief for the man who just celebrated his 51st birthday, although his bigger problem now is how not to see his forwards hit the crossbar thrice again like they did on past Friday. In my opinion, hitting the bar is already considered a good sign; on another day, those shots may have been goals. Its more important to get the shape right, mixing speed (young) & experience properly. 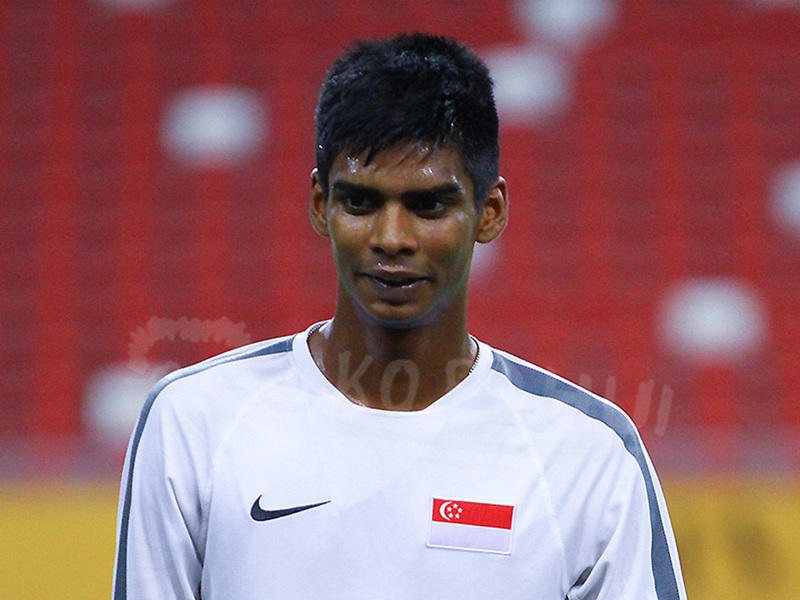 The best players in Singapore should always been selected in the national team. This IS the NATIONAL TEAM, not a developmental team.